Explore the natural beauty of Iceland on this 13-day winter package that will take you around the island to the country's most famous destinations such as Reynisfjara black sand beach, Jökulsárlón glacier lagoon, and Lake Mývatn, as well as a few hidden gems. This holiday is perfect for those who wish to discover a winter wonderland at a relaxed pace without having to worry about driving in icy conditions. After you arrive at Keflavík International Airport, your pre-organised airport transfer will deliver you to your hotel in Reykjavík. You will then have a full day to recharge after your flight and to visit one of the top spas in the world, the Blue Lagoon. Fully rested and ready for adventure, you will embark on an expertly guided 8-day minibus tour around the famous Ring Road which will also include the well-loved Golden Circle route as well as a day on the spectacular Snæfellsnes peninsula. Every evening your accommodation will be taken care of and you can choose to enrich your days with action-packed adventures that you can decide upon as you make your booking. 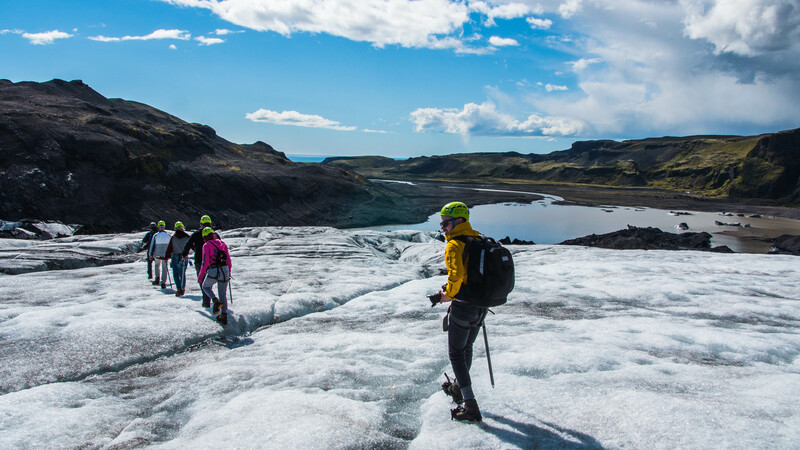 These include horse riding, snowmobiling, glacier hiking and even the chance to enter an ice cave inside a glacier! As well as daily opportunities to search the skies for the alluring and elusive Northern Lights, there will be several opportunities to unwind in geothermal pools and hot springs. Once you have circled the island, familiarise yourself with the northernmost capital in the world, Reykjavík. You will have two whole days to fill with a choice of exciting activities such as a day trip up to the Highlands in a super jeep or a geothermal helicopter tour. Even if you would rather just relax in Reykjavík, this winter tour presents you with no lack of choice. 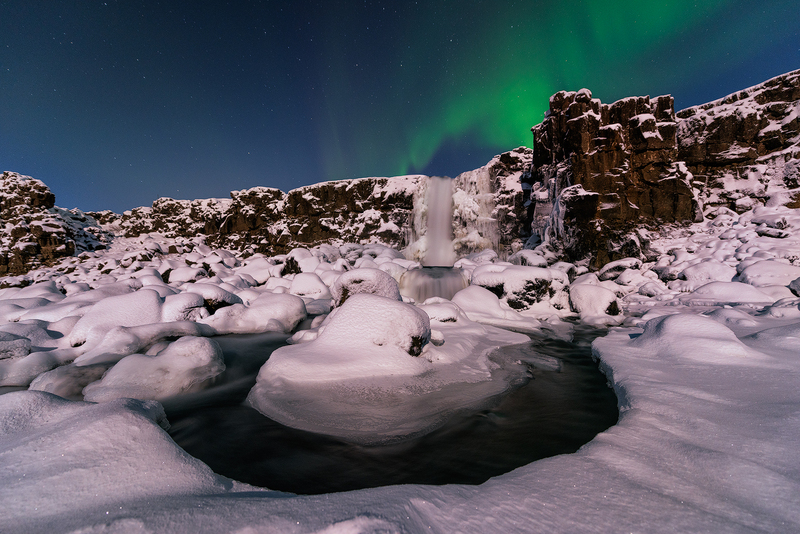 Discover Iceland in all its winter glory and book this vacation package today! This is one of the most popular winter excursions available, so wrap up warm and hop on. Check availability by choosing a date. Please see daily description below for information about pickup. Some optional activities might be subject to a minimum age requirement, require a valid driver's license or additional information. Welcome to Iceland. Once you’ve made your way out of Keflavík International Airport, climb aboard your bus to Iceland’s capital, Reykavík. Bus times are flexible and reflect arrival times, so there's no need to hurry or worry if your flight should happen to be late. Once you are at your accommodation for the evening, you can check-in and take it easy but if you find yourself with extra time on your hands, you can go out and explore the city. You could stop by Harpa Concert Hall which is open to the public until midnight; admire its fantastical, intricate architecture which is positively enchanting when it is lit up at night. Enjoy the colourful houses of downtown Reykjavík and stop by one of its countless bars or restaurants to quench any post-flight appetites. If the sky is clear of clouds, make sure to look up in the evening, there is always a chance the Northern Lights will show up, even in the city. Today, you will have the pleasure of visiting one of the most stunning spas in the world, the Blue Lagoon. Decide whether you would like to visit its milky azure waters in the morning or afternoon, and look forward to the ultimate relaxation experience. Due to the popularity of the Blue Lagoon, an exact departure time cannot be guaranteed. However, your personal travel agent will try their very best to reserve your preferred time slot and help you create the perfect holiday. After the lagoon, spend your free time exploring the charming downtown centre of Reykjavík. You can, for example, make the most of the precious daylight hours and ascend the capital’s most famous monument, Hallgrímskirkja church, to enjoy 360° views of the city. If it’s dark already, you could venture out and enjoy Reykjavík’s dynamic and often quirky nightlife. Just be sure to be well rested as you will be whisked away for your trek around the island early the next day. Your 8-day adventure on the road begins, and your first route will be the most-travelled in Iceland, the Golden Circle. You will meet your expert guide and acquaint yourself with your fellow travellers once you've been picked up in the morning. The comfortable minibus will take you to your first location on this infamous route, Þingvellir National Park, a UNESCO World Heritage Site and the setting for the formation of Iceland’s first parliament, the Alþingi, which is still in operation today, although now located in Reykjavík. Furthermore, the park sits upon the continental rift where the Eurasian and North American tectonic plates meet, and you can walk straight down the middle! Walk between continents and enjoy the abundant natural and cultural qualities of the area. 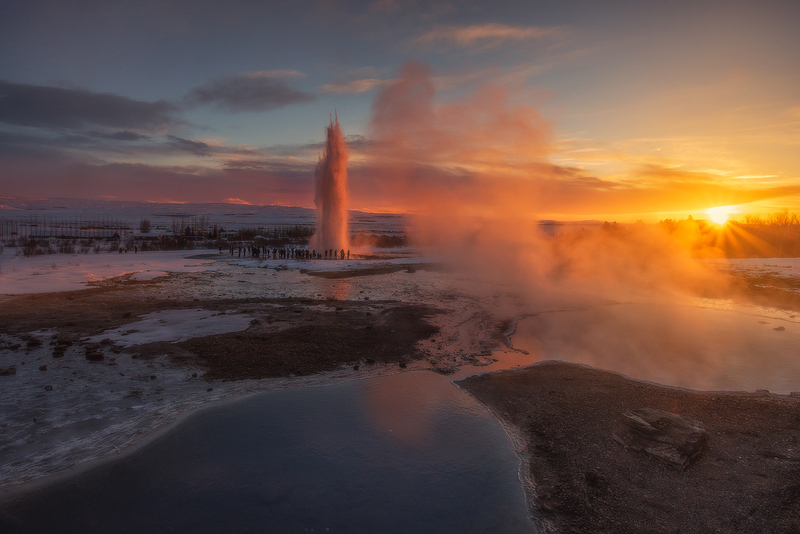 Then it's only a short drive to two more stunning attractions; Geysir and Gullfoss. The first is a geothermally active area home to many hot springs and geysers. The most active of these is called Strokkur which blasts water up to 20-metres in the air every five minutes or so. At the next stop, you will feast your eyes upon Gullfoss, which translates to ‘Golden Falls’. Prepare to be awe-struck by this monster of a waterfall which spits out glacial torrents into the vast canyon beneath it. In the winter months, you can admire the icy sculptures which form around the rocks heading off the falls. Today, you also have the option to join a horse riding tour. 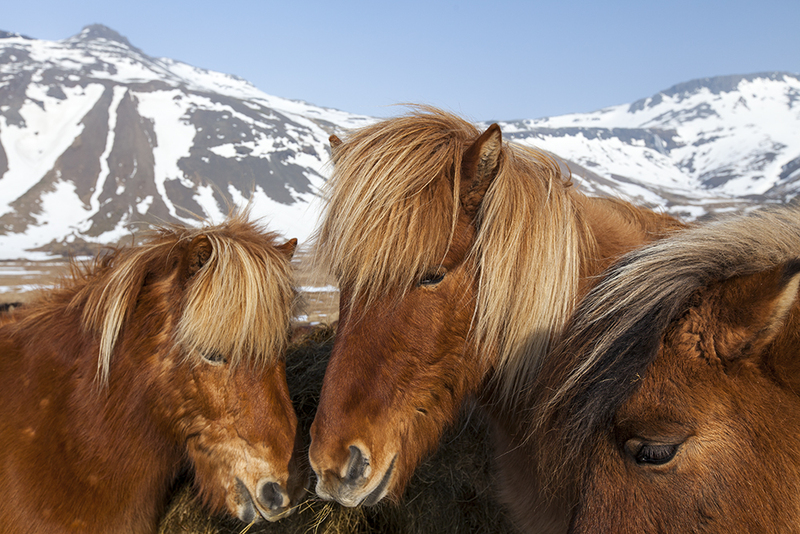 Saddle up and take in more breathtaking scenery from the back of an Icelandic horse. The breed is one of the oldest and purest in the world; famous for their calm and friendly temperament, and how they prepare for the cold with their thick shaggy coats. You will then retire to your accommodation in the Golden Circle area or in the quaint village of Hella. Don't forget to cast your eyes skywards in the evening to search for the elusive Northern Lights. Wake up and discover the South Coast. Watch out the window as you zoom through vast valleys covered by snowy jackets and dotted with rustic farms. Tremendous waterfalls cascade down from the interior, including Skógafoss and Seljalandsfoss waterfalls. You will have opportunities to get off the bus and immortalise some of these fantastic features with your camera. 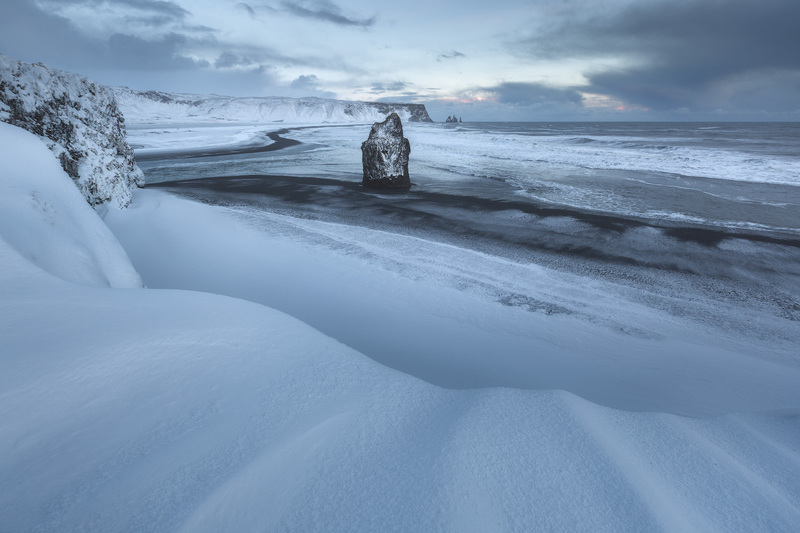 The frosted black beach of Reynisfjara will undoubtedly be one of the highlights as it is renowned for its impressive basalt columns and defiant Reynisdrangar sea stacks. Should you select it as an extra in the booking process, the highlight of the day will inevitably be your ascent onto the glacier Sólheimajökull. By booking the glacier hike with this package, you'll not only get to experience the immense beauty of glaciers where you'll enjoy uninterrupted views of the mountains and coastline, but you'll also get a hefty discount. After this thrilling adventure, you will go to your accommodation for the evening close to the coastal village Vík. 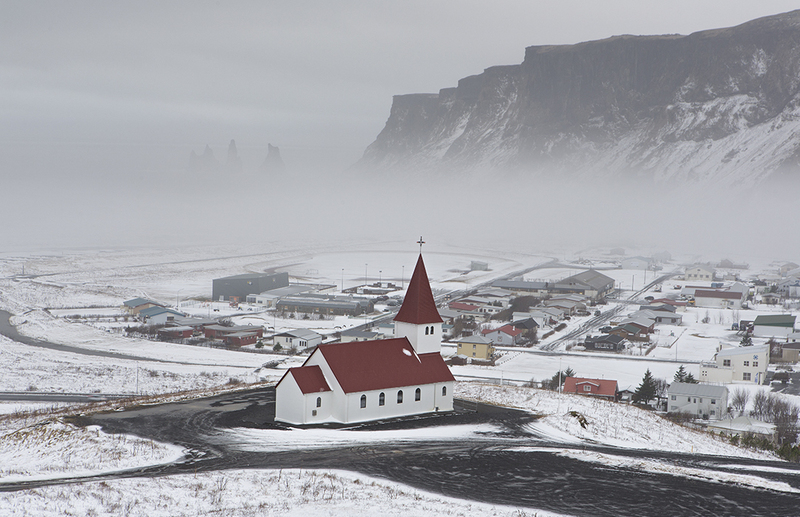 The central feature of this picturesque settlement is the church which sits on top of a hill, and it makes for a perfect picture, especially if the Northern Lights are out. Continuing your journey, you will cross the black sand desert Skeiðarársandur as the wonders of Skaftafell National Park come into view. Gaze out of the window and feast your eyes upon the diverse natural features which include timeless mountains, frozen forests and glittering ice caps. Your first stop for the day is by far of Iceland’s most impressive which is why it’s been nicknamed the 'Crown Jewel of Iceland'. Jökulsárlon is a glacier lagoon, formed as huge icebergs break away from the glacier Breiðamerkurjökull and float on a serene water before they drift off to sea. You will certainly feel enchanted as these lazy giants pass you by and marvel at their tranquil grandeur. Remember to watch out for resident seals as they are sometimes visible from the shore, playing among their icy neighbours. For a taste of adventure, you have the opportunity to enter some of the most amazing natural phenomena Iceland has to offer; the otherworldy ice caves. The mesmerising cave walls and stunning surrounding nature are guaranteed to leave you spellbound. If you are visiting between November and March, you will visit the Blue cave in Vatnajökull glacier. 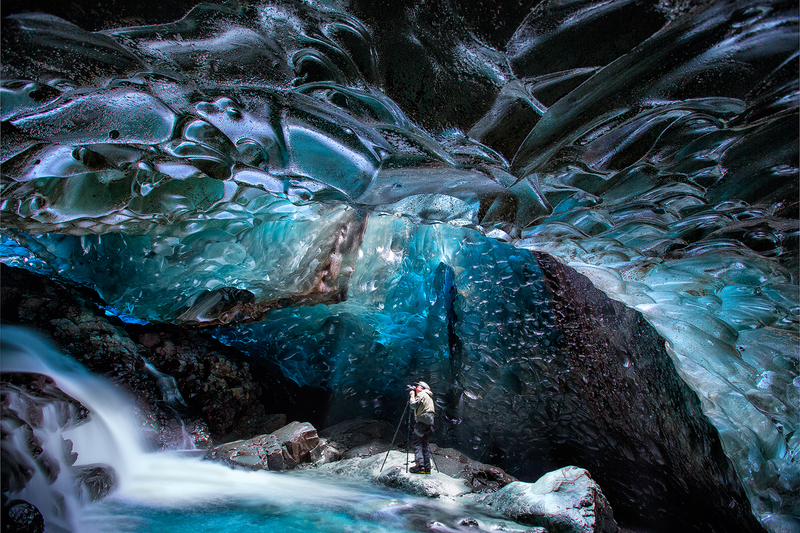 During any other month, you will visit the Katla ice cave inside Iceland’s fourth largest glacier, Mýrdalsjökull. 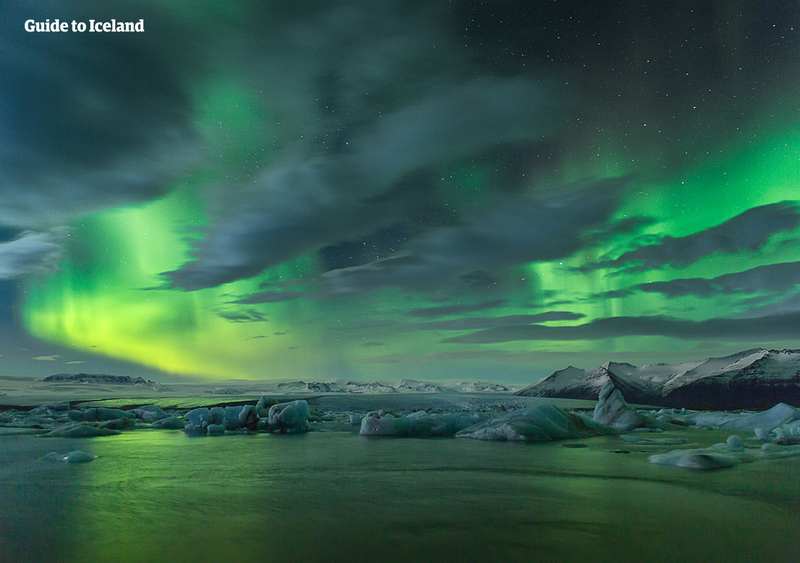 Your evening will be spent in the realm of Vatnajökull glacier, a perfectly remote location to enjoy any Northern Lights that may be shimmering across the sky. Proceeding along the Ring Road, today you will be making your way to the remote Eastfjords. This area is characterised by inspiring mountainscapes, far-flung fishing villages and stunning coastal views. An area still relatively wild, the region is known for its abundant animal activity; you may be able to spot reindeer roaming the wintery open plains. Brought initially to Iceland from Norway to be farmed, the reindeer now roam freely as their agricultural value failed to prosper. There will be several stops throughout the day, the most prominent being the lake Lagarfljót, rumoured to be inhabited by a mythical sea snake; as well as quintessential fishing villages. You will spend the night in the Eastfjords, presenting yet another opportunity to get a glimpse of the auroras away from the city lights. Your destination for the day is the gorgeous Lake Mývatn and the plethora of natural features that surround it. The Dimmuborgir rock formations are a captivating lava field dotted with bizarre and fascinating rock formations, some of which come together to resemble a mysterious fort. Fans of the HBO series Game of Thrones will recognise the location as the backdrop for Mance Rayder’s wildling camp Beyond the Wall. There will be a stop at the Námaskarð geothermal area where the formative processes of our earth are exposed. Take in the steaming fumaroles, bubbling mud puddles and oddly coloured rocks under the shadow of Mount Námafell. You add on the day an indulging experience and take a dip in the geothermal waters of the Mývatn Nature Baths, a naturally heated spa with a remarkable view. There you can enjoy looking out at the vast surrounding plains, dotted with mountains while you unwind in gloriously warm Icelandic water. Today, it is time to take a break from sightseeing and experience real Nordic culture. You will have the day in the town of Akureyri, the largest settlement outside the greater capital area. However, before you reach the town, you will make one last stop to soak in some Icelandic nature. 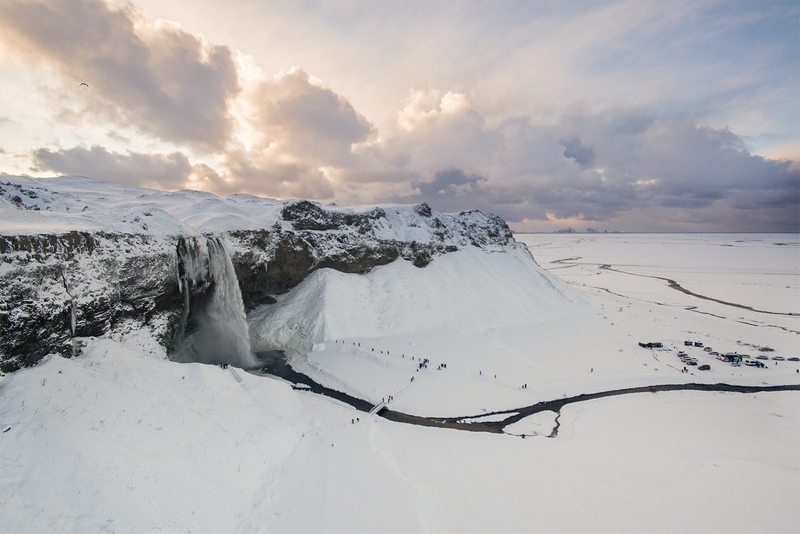 At Goðafoss waterfall, you can witness the river Skjálfandafljót plummet down 12 metres in a beautiful 30-metre long arch. There are several viewing spots available for you to capture this majestic feature on film and your tour guide is bound to tell you the interesting story of how the waterfall—which name translates to 'Waterfalls of the Gods'—got its name. At Akureyri, you can explore this fantastic town with its historical church and culture centre. There are also many cafes around if you want to relax as well as shops if you need some souvenirs to bring back home. If you just can't get enough of the Icelandic nature, you can add on a tour during the booking process where you'll sail from Akureyri's harbour in search for whales. You can enjoy the view of beautiful mountainscapes as you keep an eye out for humpback whales, harbour porpoises and other marine wildlife found in the waters offshore Akureyri. You will be spending the evening in Akureyri and as you get closer to the Arctic Circle, the night is even longer and consequently, so are your chances of spotting the Northern Lights! Today, you will proceed towards the West of Iceland; your destination - the village Reykholt, in Borgafjörður. Reykholt is a particularly valuable cultural location to the Icelandic people as this was the homestead of one of Iceland’s most revered medieval historian: Snorri Sturluson. En route to Reykholt, you will drive up and down the roads of the mountainous region of Skagafjörður. Your day will be dominated by the stunning scenery of the area, as well as the many Icelandic horses which can be seen grazing on the fields. This is, after all, the only region in Iceland where horses outnumber people. 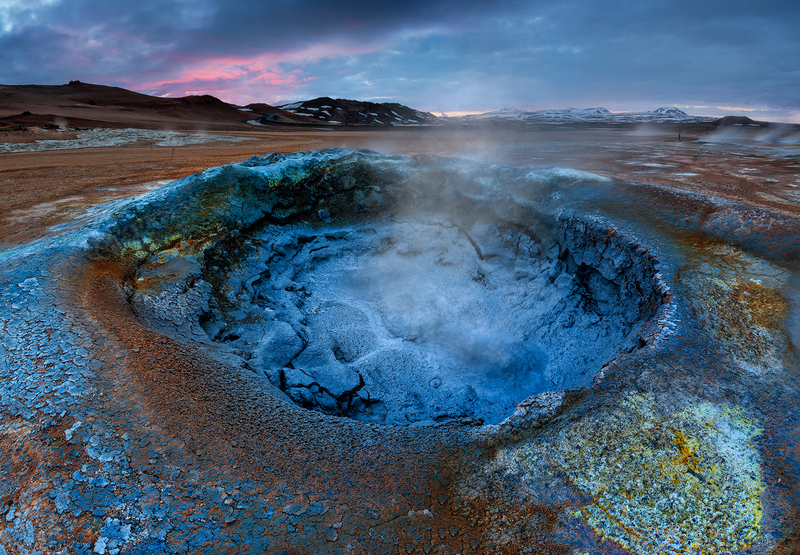 Before you reach Reykholt, you will make a stop at Deildartunguhver, Europe's largest hot spring. Feel the heat from the hot spring's steam (a warm welcome on a cold winter's day) as you take in the sights of bubbling water and colourful rock formations. Reykholt is as beautiful as it is historical. 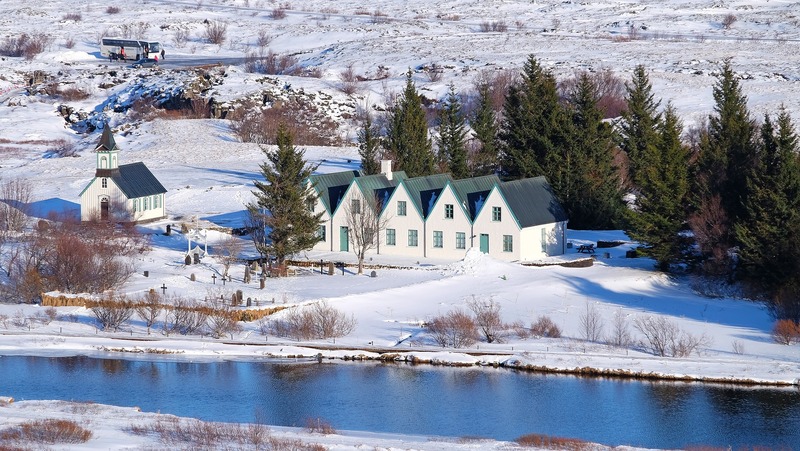 Onsite is a museum on Snorri Sturluson and his legacy as a writer, politician and historian. Without him, we wouldn't know as much about Norse mythology or European and North American history as we do today. You can admire the breathtaking scenery of the region as you cruise towards your accommodation for the evening. You have almost made it the whole way around the island! You will now head over to the exhilarating Snæfellsnes peninsula, characterised by its diversity of features leading to it often being referred to as “Iceland in Miniature”. 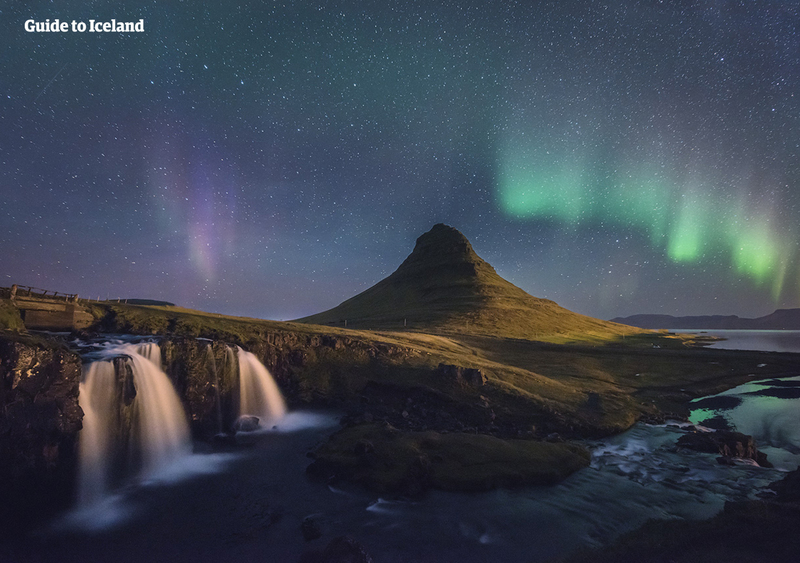 Admire the rustic fishing towns and immortalise the peculiarly shaped and ‘most photographed mountain in Iceland', Mount Kirkjufell which stands tall over the village of Grundarfjörður. As you make your way through Snæfellsjökull National Park, you can admire the stark and looming beauty of the mountain which bears home to the magnificent ice cap which the peninsula is named after. Here, you have the option to descend 200-metres towards the centre of the earth into one of the largest lava tubes in Iceland, Vatnshellir Cave. Follow your expert guide into the fantastically coloured subterranean dome for an afternoon of pure adventure. Finally, you will be finishing your tour of the island and returning to Reykjavík for the evening. Back in the world's northernmost capital, you now have a couple of free days to explore the city, as well as many extra activities to choose from. You could take a helicopter ride and watch Reykjavík get even smaller as you ascend to the heavens to explore nearby geothermal areas. Your ride will even make a stop on a mountaintop for you to enjoy breathtaking panoramic views in total isolation. Prefer to keep your feet on the ground? Why not bound through the wintery countryside in a super jeep as an expert guide takes you to one of Iceland’s most beautiful regions, Landmannalaugar. Located in the remote Highlands, this region boasts many natural hot springs so don't forget your swimsuit! If you would prefer to stay in Reykjavík over the next couple of days, make the most of the many historical and cultural attractions, all in walking distance in the tiny central Reykjavík area. You can choose between museums and galleries, or relax in one of the several luxurious geothermal swimming pools. Whatever you get up to, be sure to visit the warm and welcoming bars and cafés that contribute to the spirit of downtown Reykjavík. Another day and another chance for adventure! You could opt to go snorkelling in some of the most transparent water in the world at the Silfra fissure. As the tectonic plates pull apart, fresh spring water rushes into the divide, giving way to one of the best dive sites in the world with unparalleled visibility. Alternatively, for a more adrenaline packed experience, you could choose to go rushing over Langjökull glacier, the second largest glacier in the country, on the back of a snowmobile. Another excellent option for today is to visit a series of human-made ice tunnels carved into Langjökull glacier. There you can admire the magnificent masonry and ambition behind the tunnels as your guide ushers you through this intricate system of ice. Otherwise, you can get to know Reykjavík a little better. Visit the places you missed yesterday or go for a swim. Or you can leisurely sightsee, taking the city in your stride on your last full day in Iceland. After almost two weeks in Iceland, it is time to bid farewell to this beautiful and bizarre land. All good things must come to an end, and there's always the possibility to return, maybe next time in the summer time! When the time comes, you will take your airport transfer to Keflavík International Airport to board your flight home or your next adventure.